This was an amazing group of overachievers! 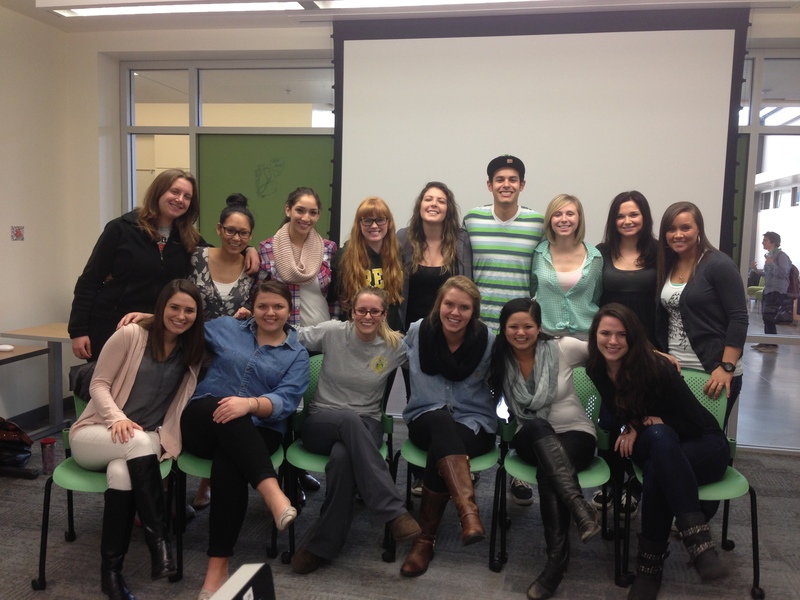 Winter 2013 marked our first class in Allen Hall 3.0! It’s wonderful to be in an environment that is so conducive to teamwork and creativity. Listed below is one of my favorite blog posts from each of my students (all students featured provided permission to have their picture and blogs featured). This past quarter, a group of my students took their social media audit and conversation analysis to the next level by partnering with a company and presenting their work. Megan Russell describes the experience in her blog post. The other blog posts below feature students’ infographics and informational interviews. Lauren Van Neste created an infographic about a baseball player from the Seattle Mariners. Anna Reinhard created an infographic about the global water crisis. Mandy Shold created an infographic to encourage the use of reusable bags. Jessica Hamel created an infographic about the benefits of red wine. Catherine Dacquisto created an infographic about the benefits of pet adoption. Alexis Chan created an infographic about the importance of music programs in schools. Holly Locke interviewed the senior director of communications for Microsoft Advertising Business Group. Hannah Olson interviewed a former account coordinator (now account executive) at Cawood. A special thanks goes to J452 veteran Lindsey McCarthy, an outstanding public relations professional, who has now done three informational interviews for my students over the years! Heather Case interviewed the publicity coordinator for the Rachael Ray Show. Maritza Santillan interviewed an assistant account executive at Waggener Edstrom. Carly Fortunato interviewed a former account executive for LaunchSquad, who now works for TripIt. Tammy Nguyen interviewed a former account executive and research strategist at Lippe Taylor. Austin Foster interviewed the community relations manager for New Seasons Market, an organic Portland grocery store.